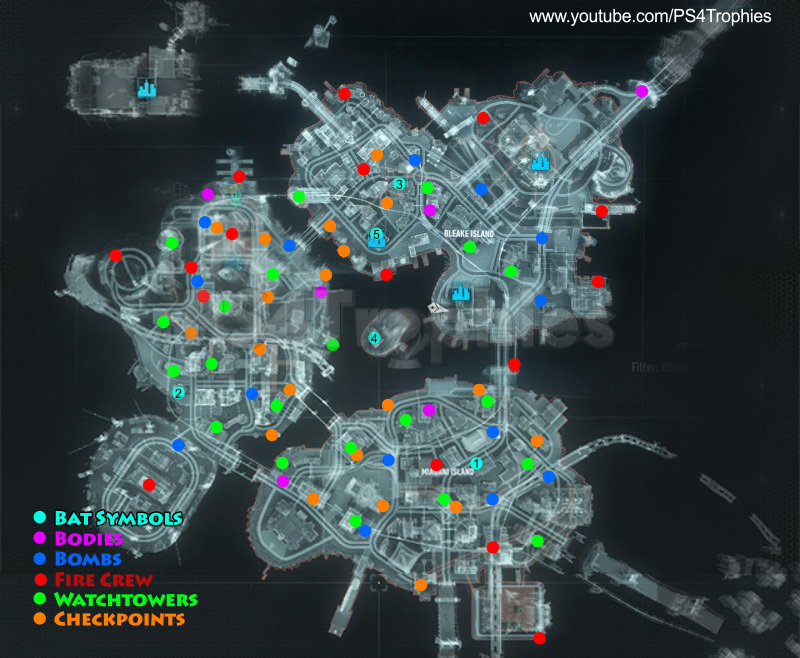 Not included are the Fire Locations for the Gotham on Fire quest and Creature of the Night quest locations. For the fire locations, just fly above the city and you’ll see black smoke from a mile away. Creature of the Night flys around large areas but is easily spotted when flying above Gotham with detective mode on. You’ll see the blue bat creature pretty easily.